Here's one of the superb new online slots game from Playson that you can have fun playing. 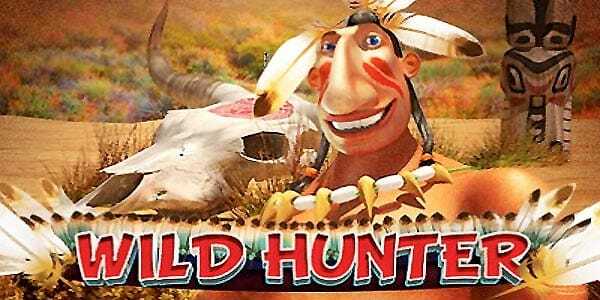 Wild Hunter is an online slots game by developer Playson. It has a Native Indian theme with a high variance format. This game has Wilds and Scatters for its bonus rounds and features. But the interesting thing about best slot games online is the number of Scatters it offers. They function in unity and escalation during the bonus round which keeps the game engaging. 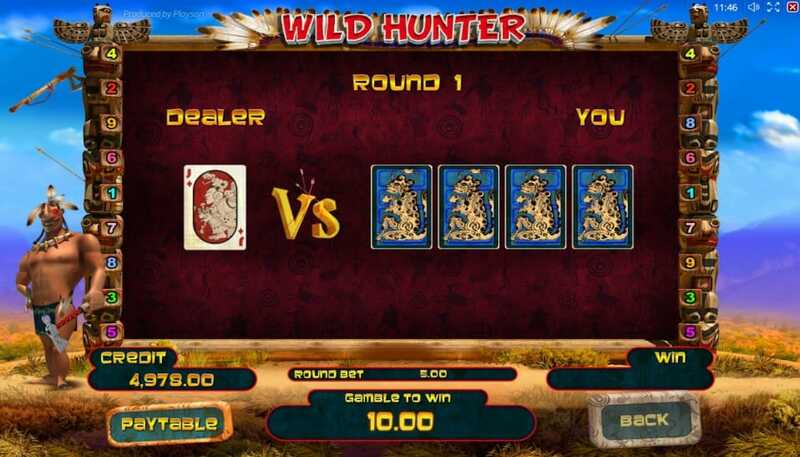 Wild Hunter is an online slots game with 5 reels, 9 pay lines. The minimum bet is £0.09 and a maximum bet of £45. If you love promo's, redeem slot bonuses today! Wild Hunter is set against a vast dessert backdrop that brings us back quite a few generations in time. The graphics are of great quality, which makes the Wild Hunter experience all the more vivid. The symbols in this online slots game consist of the usual playing cards (10, J, Q, K and Ace) and also symbols of thematic relevance like drum, eagle, bison, tepee, etc. 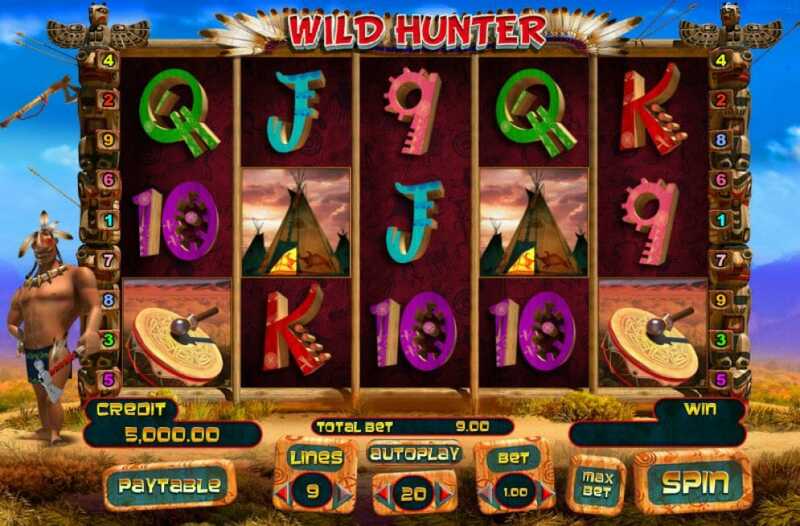 The Wild Hunter serves as the Wild symbol in this online slots game. The Wild can replace any symbol in the game with the exception of the Scatter. Also, if you manage to get 5 Wild Hunters on a pay line, you will be rewarded 5000 times your initial stake. This online slots game features 3 different Scatters: Tomahawk, Totem and Buffalo. They all have different features but they need to be synchronised in their appearance to work. 3) The Tomahawk transforms to a spinning Tomahawk that flies across the reels till it is stopped by a skull or reaches the edge. The spinning Tomahawk can also activate multipliers ranging from 2x to 50x when lands next to the Eagle symbol. Wild Hunter brings to players an indulgent lifestyle of the East. It is visually beautiful, offers good bonuses, and it is easy to navigate. A great game slots game with a great set up!